For many, a night at the movies would not be complete without a buttery bag of popcorn. Even if that hoped-for Hollywood hit proves to be a dud, you can count on the salty snack to put a smile on your face. “Popcorn is a fun food – people like to treat themselves to it at the ballpark, the theater and at home,” says Wilfred Sieg, president and CEO of Ramsey Popcorn Co. in Ramsey, which is sold under the brand Cousin Willie’s. 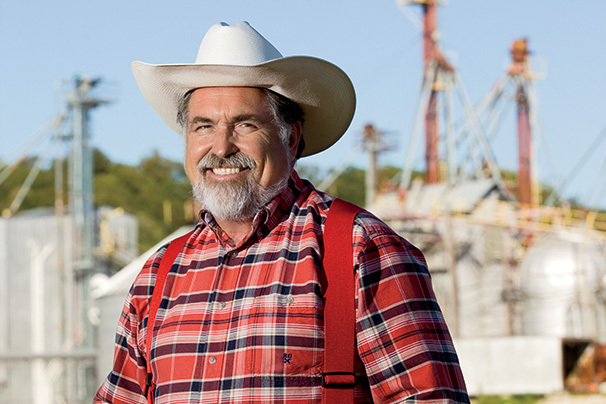 Will Weaver, fourth-generation CEO of Weaver Popcorn Co. in Van Buren, agrees. “Popcorn is the quintessential American snack,” he says. 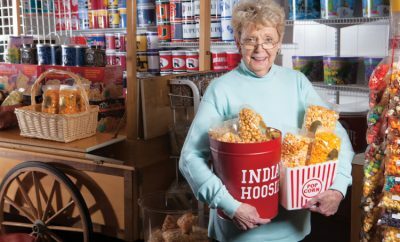 Both popcorn companies have operated in Indiana for decades – 69 and 85 years, respectively. But this popular snack has a much longer history. The oldest ears of popcorn, found in a cave in New Mexico, date back some 4,000 years. 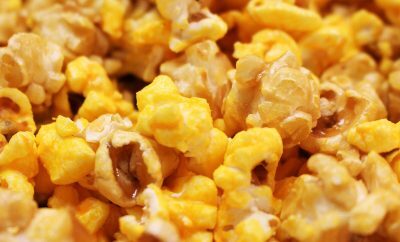 These days, Indiana ranks second in the nation in popcorn production. (Nebraska takes the top spot.) More than a few popcorn-related jobs have cropped up in the Hoosier State, which is home to a number of leading popcorn companies. 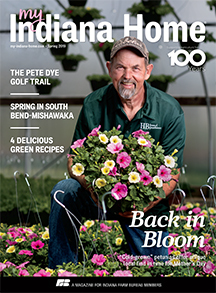 In addition to the Cousin Willie’s and Pop Weaver brands, you can find Gutwein Popcorn in Francesville, Yoder Popcorn in Amish markets around Topeka and even a gourmet popcorn shop, Just Pop In, in the Broad Ripple district of Indianapolis. 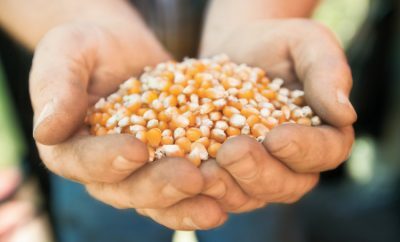 However, don’t expect to be able to pop the kernels from the sweet corn you buy at the farmers market or the field corn you see growing along the highway. Unlike other types of corn, popcorn has a hull with just the right thickness to allow it to burst open. Popcorn plants are generally smaller than field corn, with comparatively poor stalk strength and about two-thirds the yield per plant. Anyone who’s experienced poor-performing popcorn knows that not all kernels are created equal. Popcorn companies keep a sharp eye on quality, beginning with seed selection. Cleanliness and consistency of size play important roles. Following planting, popcorn fields must receive timely rains (within a two- to three-week window) for pollination. Otherwise, growers could end up with stalks that don’t have ears of corn or have ears with no kernels. 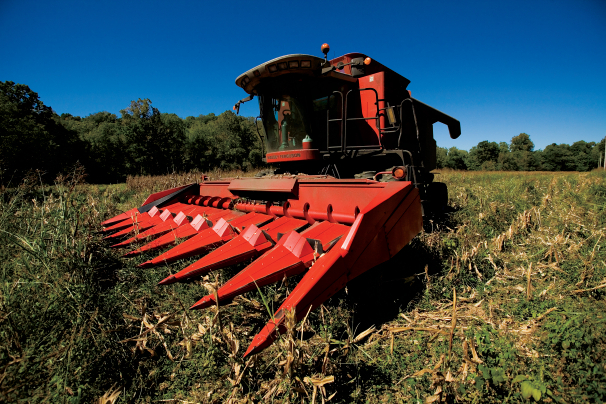 Like field corn, popcorn growers often use a combine for harvesting on a large scale, though the farm equipment’s settings must be adjusted specifically for the popcorn crop so as not to damage the kernels. “If you scuff the outer hull of the popcorn, it lets the moisture out and the kernel won’t pop,” Sieg says. 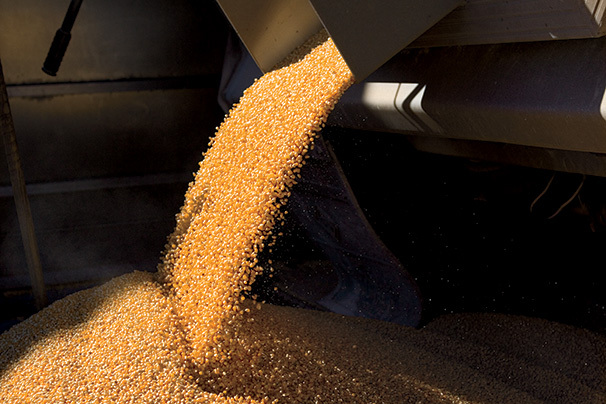 After harvest, popcorn dries in silos to reduce moisture, which gives the kernels the ability to pop. 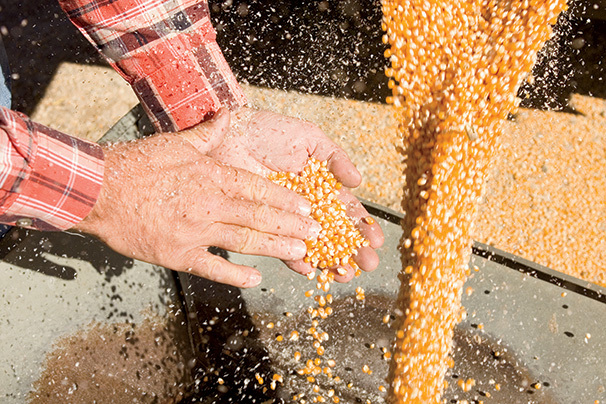 Ideally, these corn seeds contain 14 percent moisture (down from 16 to 20 percent when harvested). When heated, water inside the kernel expands and the kernel explodes, puffing up to as much as 50 times its original size. Producers always aim to limit the number of “spinsters” (unpopped kernels) to less than 2 percent. Rigorous quality control continues through processing, where state-of-the-art equipment cleans, screens, sifts and sorts kernels. In fact, Pop Weaver produces almost 30 percent of the world’s popcorn. With customers in dozens of countries, Weaver has gained a global perspective on this local product. “Around the world, popcorn is viewed as very American,” Weaver says. Overseas, popcorn packaging frequently sports U.S. flags or red, white and blue colors. In some countries, like China, popcorn has even become somewhat of a status symbol. But nowhere is popcorn more popular than in America. We consume most of the world’s popcorn – on average, 52 quarts, or more than 1,600 ounces, per person each year. “I believe popcorn became popular because it is fairly inexpensive to grow and eat, and it still is,” says Sieg, whose grandfather founded the family business in 1944 by selling his produce – including popcorn – door-to-door. In fact, popcorn sales actually increased during the Great Depression because it was one of the few snacks families could afford. With the debut of microwave popcorn in the early 1980s, popcorn became even more accessible. It’s good for you, too. Popcorn, a healthy, natural, whole-grain snack, contains no sugar or gluten but packs in the antioxidants and fiber. 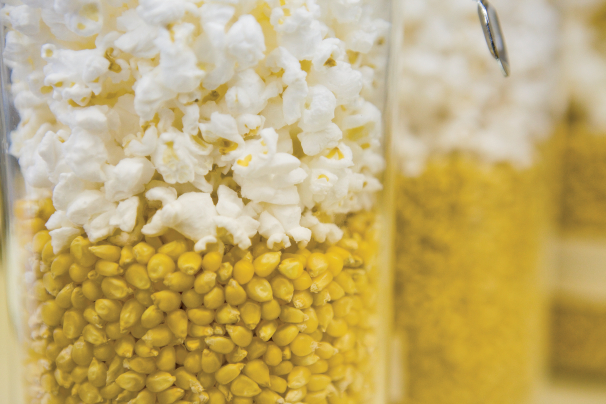 When it comes to flavor, it’s hard to beat basic buttered popcorn. But for the more adventurous, dozens of exotic new flavors have popped up, including bacon, beer, pickle and pumpkin. From good taste to good health to good business, it seems this simple little snack is worth its salt to Indiana. For more salty goodness, pop in to one of Indiana’s popcorn festivals. I’d like to give a big Farm Bureau shout out to our friends at Preferred Popcorn in Palmyra, Indiana. They’re one of our state’s biggest and best popcorn producers and exporters. And they have been extremely generous with their contribution of popcorn during the state fair. Thousands of visitors to the Farm Bureau building have enjoyed free samples of Preferred Popcorn over the past three years. Thank you, Preferred Popcorn, for your continued support of Indiana Farm Bureau. Preferred has given IFB a year supply of popcorn to give away at the State Fair for the past several years. There are great things here in Indiana! Please advise where to buy in Columbia, SC. Do u grow mushroom popcorn? We have never heard of that kind of corn? Indiana popcorn., has the best Pink Himalayan salt popcorn, I was buying it in Sam’s Club, but now they no longer carry it. Where can I find it NOW!!!!!!! I’m looking for the young man who picked up a hitchhiking student with a .Martin d-18 in Huntington county, probably 1969.. you’re a weaver that I’ve never forgotten. would like to reaquaint.